Keeping your small business in business isn’t easy. And being a family business makes things even more challenging. If you want your business to flourish for generations to come, you need to address your biggest challenges head on. Luckily, you aren’t alone. Many small family businesses face the same problems and have learned to solve them. Here are five common challenges — as told by family businesses — and how to overcome them. You can’t escape the stress of your job by just going home. Family business blends the line between work and life, making burnout almost inevitable. If excitement and ambition are the fuel that powers your business, burnout is the equivalent of your engine frying. When Andy and Jackie King sold their house to start A&J King Artisan Bakers, they vowed to avoid burnout any way possible. “Everyone knows small business owners who get burnt out… We wanted to live somewhat normal lives after a certain amount of time,” Andy explains. After working hard to establish their business, Andy and Jackie focused on hiring quality employees. They filled positions that they could do themselves to avoid burning the candle at both ends. “You don’t want to build a place that is completely dependent on you,” said Andy. Avoid burnout at your business by making smart hiring decisions and delegating effectively. If your business is seasonal, you know this problem all too well. While there’s barely enough room for you to stand in your own store during the summer, winter tends to leave your shop looking like a ghost town. This can have you feeling helpless and at the mercy of your audience. But there are ways to regain control during these difficult times. When times get tough, lean on your loyal audience to help you through. 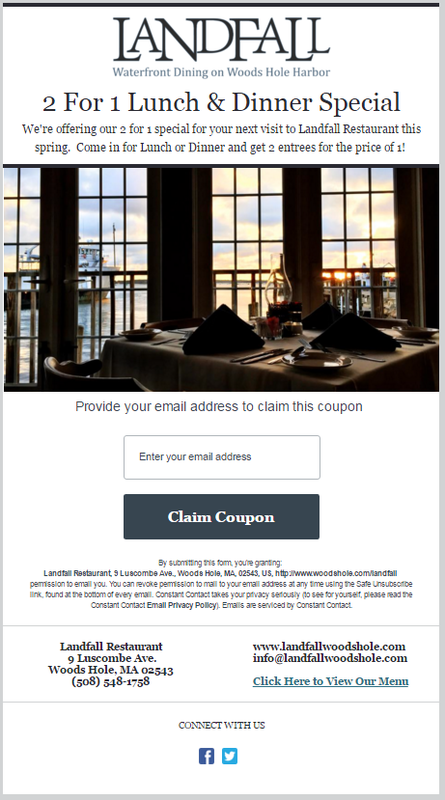 “Email marketing and social media have been a great way for us to take word-of-mouth marketing to the next level,” explains Landfall’s co-owner, Donny Estes. 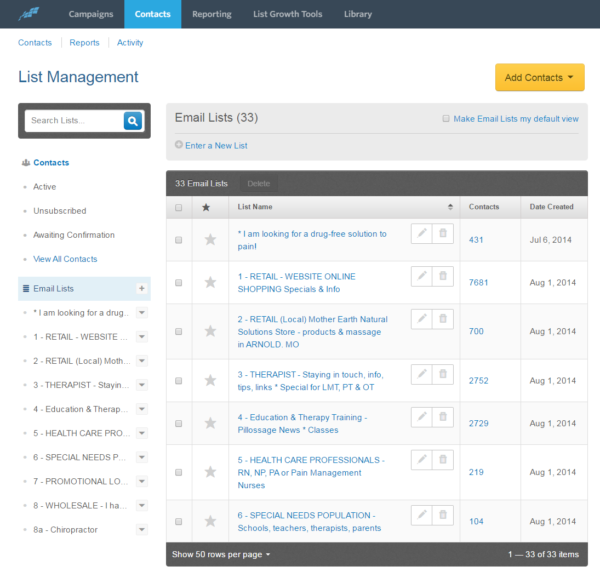 Your email list is your greatest asset when you’re trying to drive revenue during times of drought. Send out special deals, highlight your inventory, and continue to stay in the minds of your potential customers. Read their full story here for more advice: How One Seasonal Restaurant Stays Busy During the Offseason. “If you’re not morphing, and changing, and growing, you’re slowly dying,” said Andrew Martin. As third and fourth generation farmers at Honey Pot Hill Orchards, Andrew and Chelcie Martin know all about the struggle to evolve and stay relevant. For multi-generational family businesses in particular, it’s easy to repeat what’s been successful before and hold onto family traditions. But business is constantly changing. If you aren’t changing with it and keeping up-to-date on trends, you will get left behind. Growing your business cannot be left to chance. While Honey Pot Hill Orchards only used print advertising at first, they’ve recently adopted more digital channels to grow and connect with their customers. Don’t be resistant to change at your family business. While some family traditions add to the character of your business, new opportunities help you stay current. You care deeply about your business. If you didn’t, you wouldn’t be putting all your spare time, energy, and money into it. But something’s holding you back. Maybe it’s the other job you still hold. Maybe it’s the mentality that your business is just for side money. No matter what it is, you will need to be 100 percent focused on your business if you want it to really take off, which means making some hard decisions. That’s where Libby and Brad Birky of SAME Café found themselves before they made the plunge. Brad quit his other job, taking a $60,000 pay cut in the process. On paper, this might seem crazy. But Libby and Brad knew that for SAME Café to survive, it required all their attention and time. Listen to Libby and Brad’s full story here. You have a well-developed business with an audience of loyal customers. Don’t let disorganization be your undoing. As a family business that has been in business for over 20 years, Mother Earth Pillows has a customer database of over 3,500 contacts. “One of our biggest problems initially was that we knew we were missing lots of interest areas because we didn’t have our contacts well organized,” said Karen Kowal, founder of Mother Earth Pillows. Creating a simple organizational system is essential to keeping up your business and reaching your audience effectively. For Karen, her system involved organizing her contacts into multiple email lists. Keep your family business in business with these tips! Running a family business has plenty of challenges. How will you react? Will you run from them and ignore any issues entirely? Or will you face your challenges head on, taking the necessary actions to keep your small family business afloat? What challenges does your business run into? Any advice you’d like to add to the list? Let us know in the comment section!